Venture out of the city with trips to San Antonio (Natural Bridge Caverns, The Alamo, & more), Fredericksburg (Wine Tours & Tastings & National Museum of the Pacific War) and New Braunfels (New Braunfels Conservation Society & Schlitterbahn Waterpark New Braunfels). 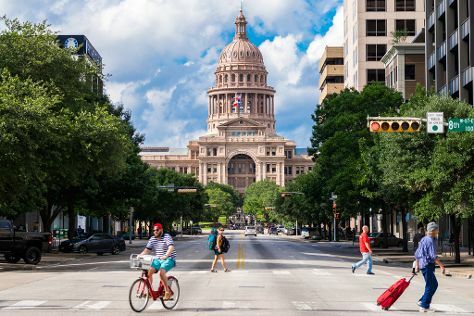 There's much more to do: contemplate the long history of Texas State Capitol, contemplate the waterfront views at Barton Springs Pool, admire the striking features of The Driskill, and get engrossed in the history at Bullock Texas State History Museum. To find ratings, other places to visit, reviews, and tourist information, refer to the Austin vacation planning website . Expect a daytime high around 71°F in November, and nighttime lows around 52°F. Cap off your sightseeing on the 25th (Sun) early enough to travel back home.